In one of those “Why have I never thought of this before?” moments, it dawned on me how amazing pretzel hot dog buns would be. 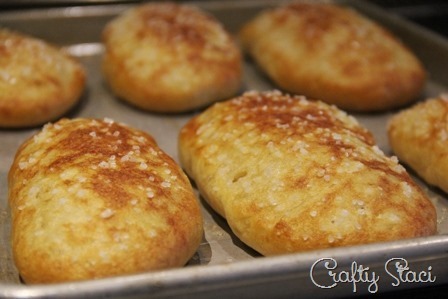 I used to make homemade soft pretzels once in a while, but haven’t for a few years, probably because it would make my gluten-free daughter cry. However, she doesn’t live with us anymore, so I wanted to give the hot dog buns a try. The day I had planned to make them, I was busy with lots of things. Fortunately, my husband was free, and he’s a better bread maker than I am anyway. I think it’s because I’m art and he’s science. I like to throw whatever in and hope it turns out, while he is a meticulous measurer. Needless to say, my method doesn’t work out as well with baked goods, while his turn out perfect every time. We used my regular pretzel recipe to make these, so if you’re interested in soft pretzels just follow the same directions, just turn them into twists instead of buns. Dissolve the yeast in the beer. Add the sugar and 3/4 teaspoon salt and stir until dissolved. 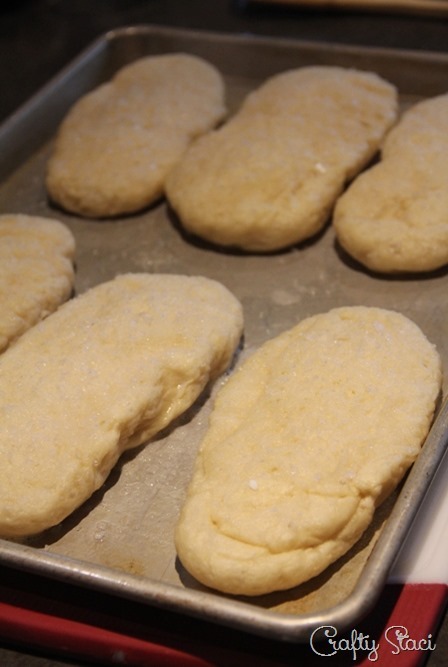 Stir in the flour and gluten flour until well combined. Leave in a covered, oiled bowl until double in size (30 – 45 minutes). Divide into 12 pieces. We went with 8, which was a bit too big. Shape into hot dog buns and place onto greased baking sheets. In a non-aluminum pan, bring the 4 cups of water and baking soda to a simmer. Carefully lower the buns, one at a time, into the water. Cook for one minute, flipping over halfway through. Drain well and place back into greased baking sheet. Immediately sprinkle with coarse salt. Bake at 475 for 7 to 10 minutes, or until brown. These were delicious, and now I know my husband knows how to make them!